You want to reduce drastically the noise levels in your own home and enhance your well being? Then discover here the advantages of PVC-U windows. Every day, we are surrounded by many noises. No matter whether these come from airports, motorways, factories, or railway tracks. This noise causes stress and is not without consequences. Irritability, poor concentration, and cardiovascular diseases are only a few examples. It is therefore obvious that this disruption should not penetrate your own four walls. But how can noise be measured? 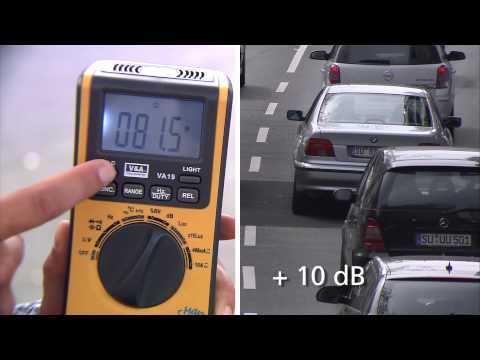 The unit used to measure volume is called decibel (dB). Volumes up to 20 dB are negligible, for instance, in the bedroom. Nevertheless, over 30% of the population are exposed to a permanent noise level exceeding 50 dB. If you want to improve greatly your sound insulation and hence well being, you can do a great deal by directing your attention to windows of your home. If noise is to stay outside, initial, qualified advice up to the final installation is crucial. There is a range of sound transmission classes, depending on the living environment and noise pollution. Enjoy peace and quiet everywhere – with modern window technology based on high tensile PVC-U profiles matched perfectly to the sound transmission class. PVC-U window profiles with high noise protection have a large weight that must be borne by the window frame structure. Correct installation requires adequate static properties, stability, and pull-out strength. This in combination with tightly sealing masonry promises you relaxation, peace, and quiet in your own four walls, and protects your health on a permanent basis. In sound insulation matters, put your trust in professional PVC-U profile manufacturers and your specialised window maker that will be pleased to help you with your questions.